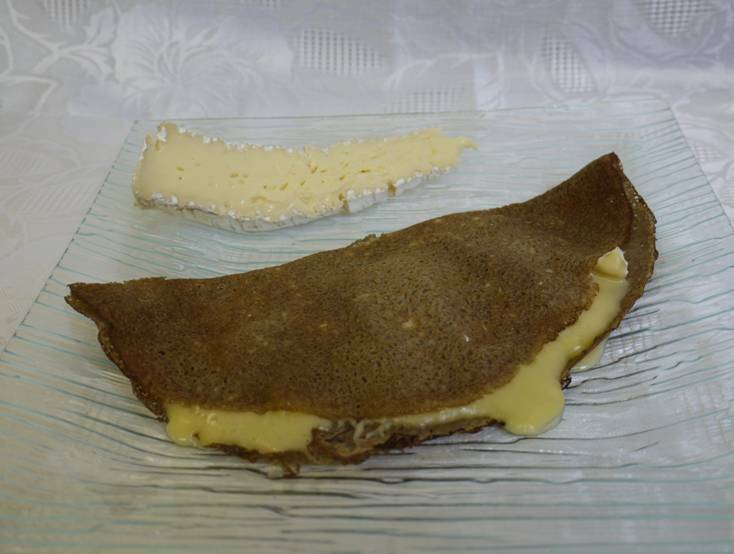 a slice of Brie de Meaux Rouzaire (1 cm). Add a touch of liquid honey, fold back the crêpe in half and wait for few minutes. to remind the typical taste of Brie.